The Perfect Fit for Your LBM Business. Our partnership with our consultant and the team at Ponderosa extends over more than five years now and, looking back, I don’t think we could be any happier with our decision. 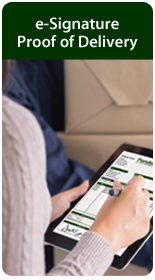 We knew that we’d need to upgrade our software to take advantage of the latest technology and Ponderosa’s current capabilities. We can’t overstate the role that Ponderosa’s production and inventory handling capabilities have played in enabling the customer-centric service philosophy that permeates everything we do as an organization. Ponderosa LBM Software includes a set straight-forward, simple-to-use software tools geared to smaller and mid-sized dealers that want to improve customer service, work more efficiently and drive cost out of their day-to-day business. From point-of-sale (POS) software that lets you offer top-notch counter service to enhanced inventory control that ensures you have the right stock at the right time, Ponderosa LBM Software will make your business hum. Ponderosa LBM Software is designed, installed and supported by a company with a different and refreshing approach to customer relationships. Over almost 40 years, we’ve achieved a well-earned reputation as a partner that truly cares about our clients’ businesses. Customers appreciate our ‘we’re-in-this-together’ approach – a big reason why we enjoy a client retention rate of greater than 98.5%. The Ponderosa team has a keen understanding and a proven track record of LBM software development and implementations. We’ve built our reputation by listening and responding to our clients’ needs with software and hardware solutions that maximize business value year after year. 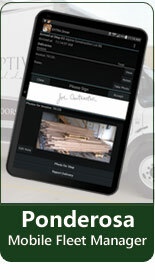 Check out Ponderosa LBM software features.